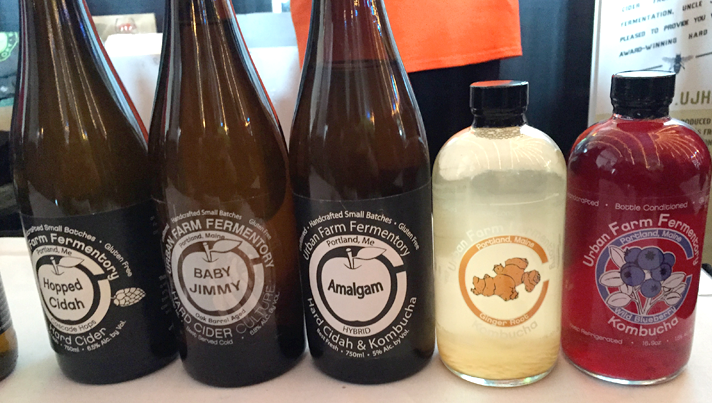 February 7th marked the 3rd Annual Cider Summit in Chicago, put on by SBS Import's Alan Shapiro in collaboration with Seattle Beer Collective. This year's event was upgraded to Navy Pier's beautiful Grand Ballroom, which hosted a sold out crowd of 4,000 cider fans over the 2 ticketed sessions. With over 15 new cider vendors this year and cider makers from around the world on hand, we found this year's crowd as eager as ever to converse and learn. Even with the expanded space the crowd was thick and lines were palpable. 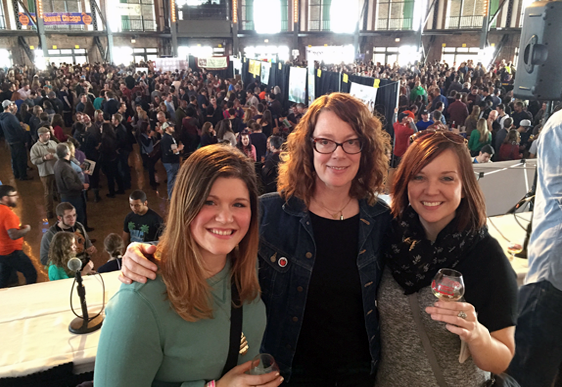 Those in attendance were a vast range of ages and levels of knowledge, and with easily over half being women – much different (and less unruly) than your typical beer festival. As the 3rd year attending, my strategy was to seek out as many new ciders to the market as possible. I was joined by Ken Getty – homebrewer, cider maker and President of CHAOS Brew Club and MC Johnsen – fellow designer, homebrewer, and blogger of Worth 1000 Beers. Our friends at WBEZ's Strange Brews were recording a live podcast during the 1st session, interviewing Eric West, host of the Cider Guide Podcast. Eric created his own guide to Cider Summit, re-categorizing each entry by style, which we found extremely helpful throughout the event. You can download his list and check out his podcasts on his website. MC (Worth 1000 Beers), Alison Cuddy (Strange Brews), Kim (Hail To The Ale). As fests often do when you're having fun – the 3 hours flew by. Between the 3 of us we were able to sample a spectrum of styles, regions and creative flavors. While many follow traditional, century-old processes of blending regional apple varietals with yeast, there is an increasing number of cider makers taking the "craft beer approach," adding fruits, vegetables, spices, hops and even incorporating second use spirit barrel-aging. The cider category which was once defined as dry, sweet or semi-sweet is becoming more complex and diverse. We learned that during this past week's CiderCon, the Cider Association was working to further define styles for cider, much like we see in craft beer. This will help makers, sellers and drinkers alike to better understand and communicate a proper vocabulary around cider. While it will take time to implement, it's very exciting progress! Overall the expanded space was a huge improvement, and a thrill to see growth in the category happening before our eyes. We caught Alan Shapiro briefly and were assured that he'd be returning for the 4th Annual Cider Summit next year. Below is a breakdown of our top cider picks of the day, all of which can be found in the Chicago market, with the exception of Troy Cider and Urban Farm Fermentory's cider, mead and kombucha, which we hope to see distributed out of Maine in the near future.